The Best "Grown Up" Easter Eggs for 2019. Easter is just a few short weeks away, in fact Easter Sunday actually falls on my birthday this year (21st April). Of course the shops and websites have had Easter eggs adorning their shelves for quite some time, and if your anything like me you will have be salivating at the sight of some of them! I think companies and brands get more and more creative with their designs and flavours every year, with some pretty awesome combos hitting the shelves this year too. 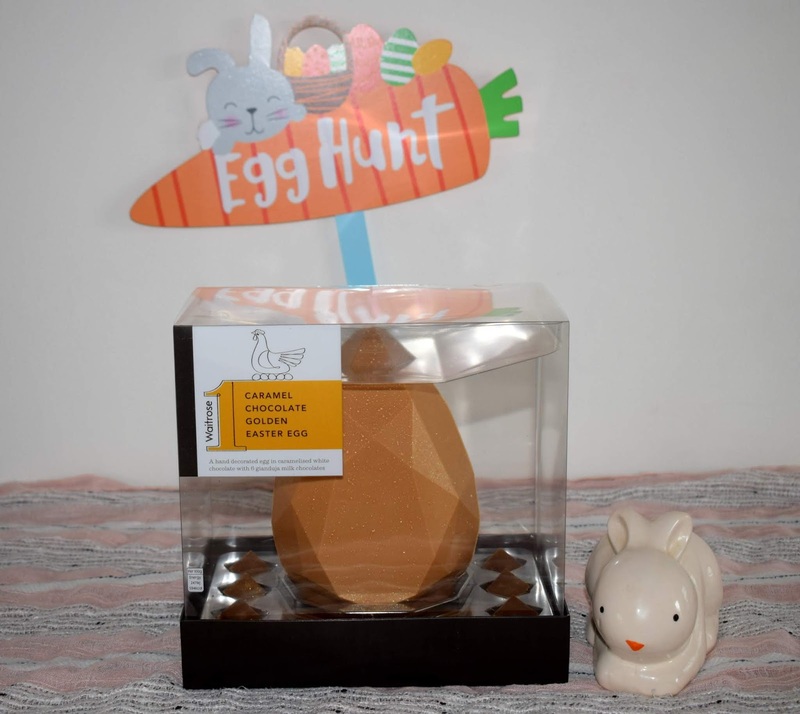 With that in mind I have put together a list of some of the best Easter eggs I have spotted this year, that are perfect for the grown ups, because lets face it just because we are now adults doesn't mean we don't want an Easter egg! This fair trade Easter egg is made with Divine’s signature smooth and buttery milk chocolate. 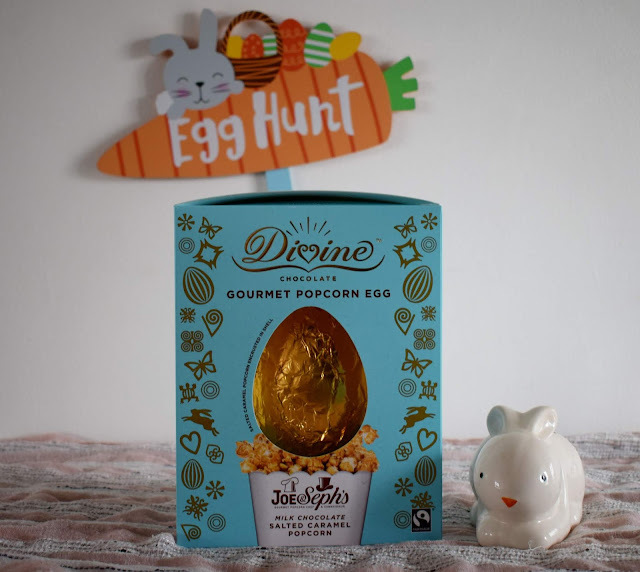 But that's not all, when you crack open the egg you will discover the inside is encrusted with air-popped gourmet salted caramel popcorn from award-winning popcorn brand Joe & Seph. The egg is totally fair trade and is the first of its kind, combing two fantastic brands to make one delicious egg. 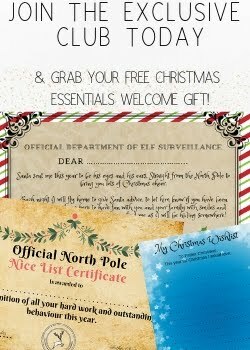 I also found a voucher code hiding at the bottom of the box, entitling the buyer to a free pouch of Joe & Seph's popcorn when you spend over £12 online which was a lovely touch. The egg itself is absolutely delicious! It has a smooth creamy texture and the added crunch of the air popped popcorn on the inside makes it so moreish. Im not usually a huge fan of salted caramel however on this egg it was delicious and quite subtle meaning it didn't overpower the creamy chocolate of the egg itself. Ok so I know this one isn't technically a "egg" but it was just too cute not too include! 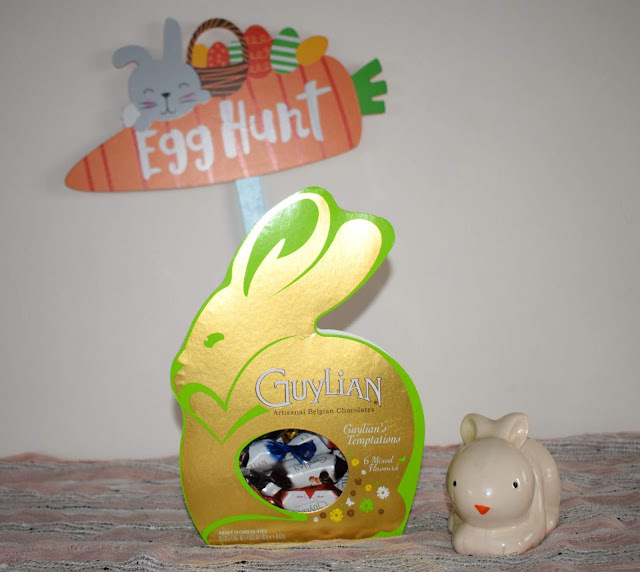 This super cute bunny shaped box of Guylian chocolates would make a fantastic Easter gift or even to use for a more grown up Easter hunt. The bunny shaped temptations box contains 6 mixed flavours of individually wrapped chocolates with flavours including original, praline and crunchy biscuit. The chocolates are all in the classic Guylian seahorse shape and made from delicious Belgian chocolate. This shimmering egg from Waitrose is definitely one of those that catches your eye straight away. The beautiful diamond shaped egg is made from caramel flavoured white chocolate and decorated with a gold shimmer splash that really does shimmer. The egg also comes with six milk chocolate gianduja squares that are also finished off with a gold shimmer. The egg comes in an almost completely clear box so you can really see all the work that has gone into this egg, its almost too pretty to crack open! However once you do crack it open its absolutely delicious! It is very sweet with the caramel and white chocolate combination, which both my husband and son loved. It would make a lovely treat to enjoy a little at a time for me personally though. The chocolate is smooth and creamy though and the small chocolates that come with it are packed full of flavour and absolutely delicious. This is definitely a show stopper egg. Peanut butter is definitely one of those love or hate kind of things, but for those of you who can't get enough of it there is not a Reese's Easter egg! 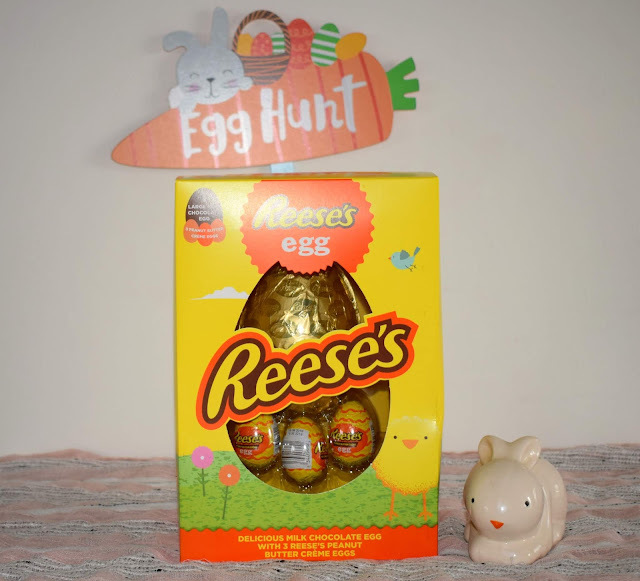 The Reese's egg comes with one large hollow egg as well as three smaller peanut butter cream eggs. The hollow egg tastes good, however the star of this box really is the three smaller eggs which are packed full of the classic Reese's peanut butter. The eggs contain a firm peanut butter with a sweet, nutty flavour all encased it a milk chocolate shell. I have to admit I am not a huge peanut lover fan, however I do like it in small amounts and think this egg would be a real winner for a peanut butter lover! I am going to have a try at making some chocolate and peanut butter brownies using the smaller eggs that come in this pack I think. The picture really doesn't do this egg proper justice, its absolute huge and a total showstopper. This huge Colosseum Belgian chocolate hollow egg is hand decorated for that final elegant touch with a glowing golden lustre. 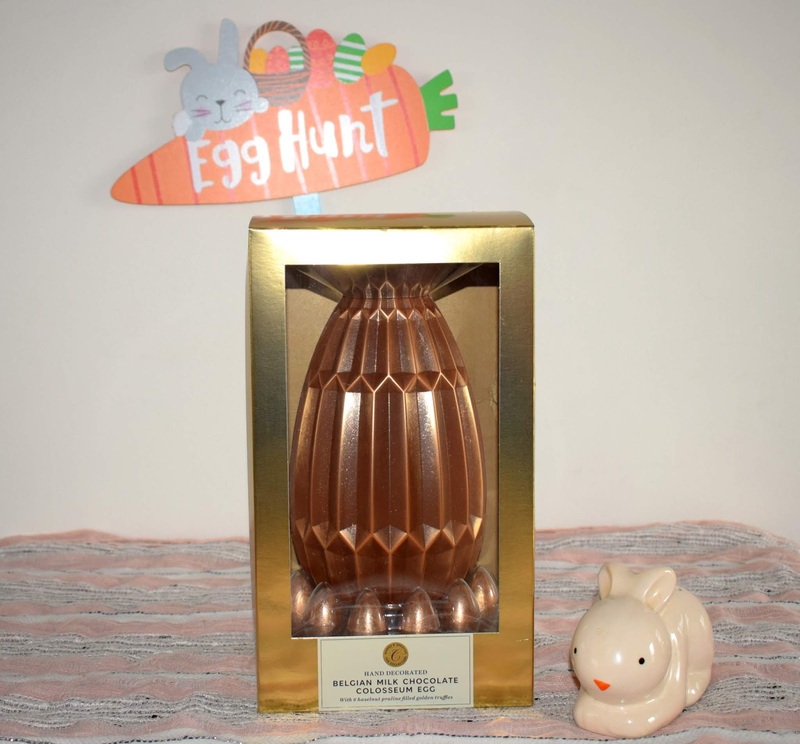 As is this towering delicious egg wasn't enough, you will also find six mini milk chocolate eggs filled with a hazelnut praline and finished off with the same gold lustre that features on the main egg. If you are looking for something a little bit more special this Easter then this is definitely the egg for you. The golden sheen and sheer size of this egg is impressive enough but it tastes just as good as it looks. The Belgian milk chocolate really shines in this egg with no other flavours to complicate it. 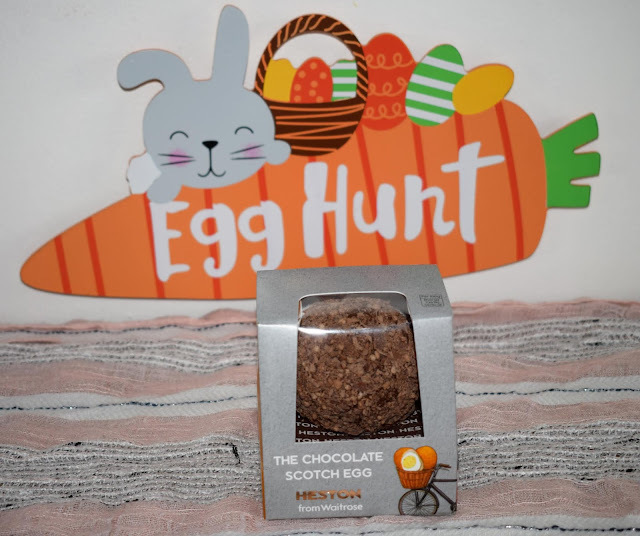 Its a classic flavour with an extra special touch which I think makes it a great gift this Easter. Can't decide on the type of chocolate of flavours you want in your egg this Easter? Not a problem as Aldi have a great range of duo eggs through their Moser Roth range, with each egg features two flavours just like this delicious dark chocolate and milk chocolate raspberry combination. 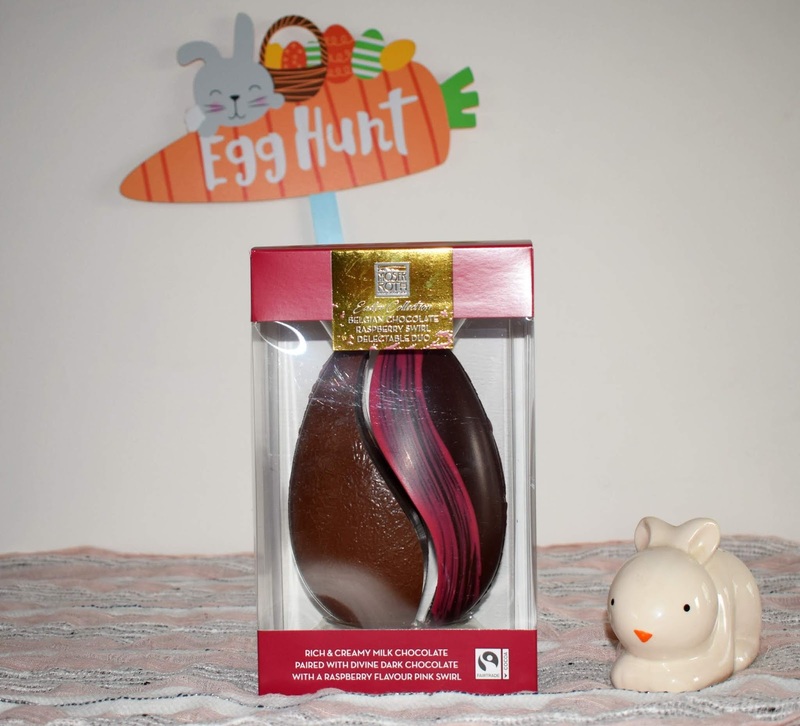 The hollow egg actually comes in two parts, one side is a hollow dark chocolate and the other a hollow milk chocolate half with a zingy raspberry swirl. I love this idea, especially as me and my husband can never agree on the chocolate we want so this is the perfect solution without any compromise. Both halves tasted delicious with the milk chocolate side obviously tasting much sweeter than the dark chocolate. The egg looks great and at just £2.99 this is a fantastic egg that tastes good, looks great and doesn't break the bank either. Again I know this isn't really an "egg" as such but it is a Scotch egg and as I am such a huge fan of Heston Blumenthal and his creative, unique food ideas I just had to include this Easter offering from the Heston range at Waitrose. It is a scotch egg but of course, in true Heston style, not quite as you may know it! In fact this scotch egg is made from chocolate with a hidden zesty golden yolk at the centre. The scotch egg is made up of a delicately smoked milk chocolate caramel ganache with a zesty mango and yuzu fondant "yolk" at the centre. The outside is coated in a milk chocolate maple crunch to replace the traditional "breadcrumbs" you would find on a scotch egg. The combination is absolutely amazing and so delicious, I am not sure I am ever look at a scotch egg the same. The zesty centre broke up the rich, smooth and amazingly moreish chocolate ganache outer perfectly and the maple crunch was a lovely added extra giving that crunch you needed with the fondant and ganache. Over all this was a real winner in our house, even the kids loved it! If you are looking for something a little bit different or quirky this Easter this is sure to be a winner. So there you have it, a list of some of the best eggs we have seen so far this year! Do any of these take your fancy, or do you have your eye on a specific Easter egg this year? Let me know in the comments below. As I'm reading this I am sat here munching on the popcorn egg from Divine Chocolate. It is AMAZING! Amazing selection I might have to go and get the reeses Easter egg for my husband (and maybe the golden caramel egg for me)! Lovely looking Easter eggs here. They look so yummy. Yum!! Anything to do with reeses then I am there!